In her latest collection of poems Jo Slade continues her investigation of displacement and difference and illustrates how these experiences can be transformed through poetry, a transformation that is not so much redemptive, as prophetic. These are inquisitive, sonorous, intense poems that draw us into a world where actuality and dream collide, where loneliness, grief and resilience are innate. 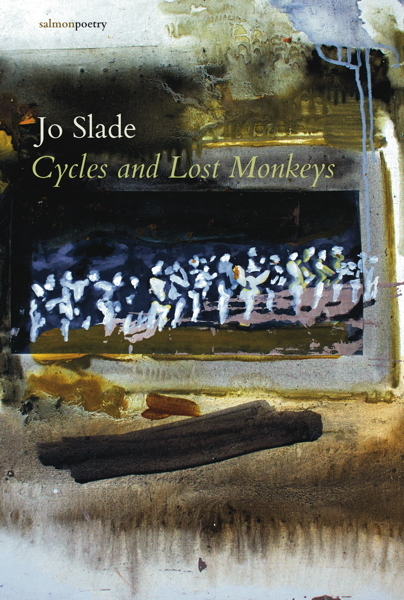 Informed by history and personal memory, Jo Slade propels us forward, from the title poem, Cycles and Lost Monkeys, with its dark specter of surveillance, to the final section where we are confronted by the consequences of indifference to authoritarianism. Jo Slade lives and works in Limerick. Poet and painter, she is the author of five collections of poetry and two chapbooks of poems, The Artist’s Room (Pighog Press, Brighton, UK 2010), The White Cottage (T-A-R Publications 2016). Her most recent collection, The Painter’s House (Salmon Poetry in 2013) was joint recipient of the Michael Hartnett Poetry Prize 2014. Other publications include: In Fields I Hear Them Sing (Salmon Publishing, 1989); The Vigilant One (Salmon Publishing 1994), nominated for The Irish Times/Aer Lingus Literature Prize; Certain Octobers (Editions Eireanna, Quimper, France, 1997) a dual language English/French edition, which received a publication bursary from the Centre du Livre, Paris, France; City of Bridges (Salmon Poetry, 2005), nominated in 2003 for the ‘Prix Evelyn Encelot,’ Ecriture Prize, Maison des Ecrivains, Paris. 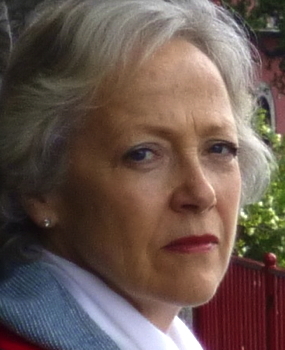 She has had poems translated into French, Spanish, Romanian, Norwegian, Russian, Italian & Slovenian, and poems published in literary journals and broadsheets in Northern Ireland, the UK, the USA, Canada, Russia, France, Slovenia, Spain, the Channel Islands & Italy. She was appointed as Writer-in-Residence for Limerick County Council in 2006 and writer-in-residence in the winter of 2007 at the Centre Culturel Irlandais, Paris, France. She is the recipient of a Literature Bursary & Travel Grants from The Arts Council of Ireland, Culture Ireland & Limerick City Council. She has exhibited her paintings widely in Ireland, France & Italy. Her most recent installation/exhibition took place in the Sailor's Home, Limerick, in 2016.